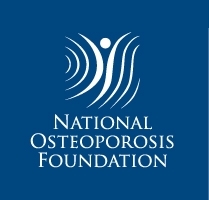 Therapies for osteoporosis must be taken for at least 1 year to be effective. The purpose of this study was to determine the difference in adherence to etidronate, alendronate and hormone replacement therapy in a group of patients seen at our tertiary care centres. The Canadian Database of Osteoporosis and Osteopenia (CANDOO), a prospective observational database designed to capture clinical data, was searched for patients who started therapy following entry into CANDOO. There were 1196 initiating etidronate, 477 alendronate and 294 hormone replacement therapy women and men aged (mean, SD) 65.8 (8.7) years in the study. A Cox proportional hazards regression model was used to assess differences between treatment groups in the time to discontinuation of therapy. Several potential covariates such as anthropometry, medications, illnesses, fractures and lifestyle factors were entered into the model. A forward selection technique was used to generate the final model. Hazard ratios and 95% confidence intervals (CI) were calculated. Adjusted results indicated that alendronate-treated patients were more likely to discontinue therapy as compared with etidronate-treated patients (1.404; 95% CI: 1.150, 1.714). After 1 year, 90.3% of patients were still taking etidronate compared with 77.6% for alendronate. No statistically significant differences were found between hormone replacement therapy and etidronate users (0.971; 95% CI: 0.862, 1.093) and hormone replacement therapy and alendronate users (0.824; 95% CI: 0.624, 1.088) after controlling for potential covariates. After 1 year, 80.1% of patients were still taking hormone replacement therapy, which decreased to 44.5% after 6 years. Increasing age and presence of incident non-vertebral fractures were found to be independent predictors of adherence. In conclusion, alendronate users were more likely to discontinue therapy than etidronate users over the follow-up period. Potential barriers to long-term patient adherence to osteoporosis therapies need to be evaluated. 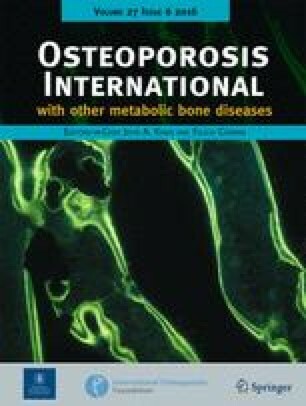 The authors wish to thank Greg Stephenson for his helpful comments with the manuscript and Catherine Krasnik for assisting with editorial requirements. This study was funded by a grant-in-aid from Procter & Gamble Pharmaceuticals Inc. Dr. A. Papaioannou is a recipient of a Career Scientist award from the Ontario Ministry of Health and Long Term Care.